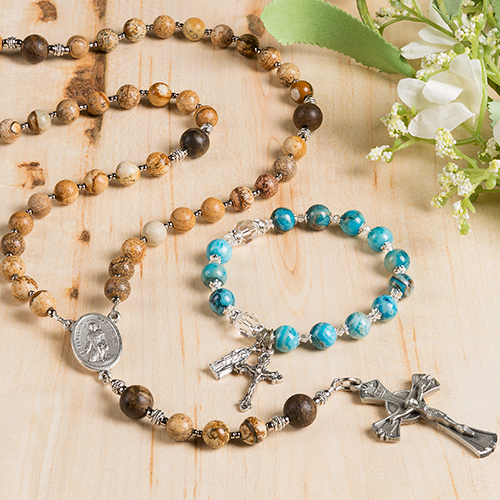 Mary Magdalene has a special place among Jesus' disciples. It was St. Mary Magdalene's great love for Christ that kept her standing at the foot of the Cross, weeping and grief-stricken, until her Savior died. It was her heartbreaking pain of loss that drove her to his tomb at the first light of day in order to anoint his body. 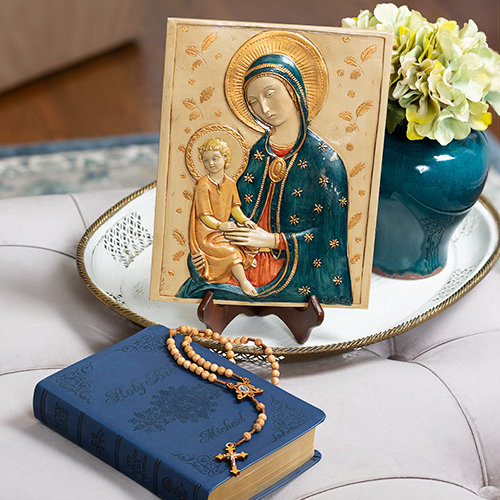 As a reward for her great love and faithfulness, she is the privileged person to whom Jesus first appeared on Easter Sunday morning; she was the very first witness of the Resurrection. It was Mary Magdalene, a woman, who went and told the twelve Apostles that Jesus had risen from the dead; for this she is called "Apostle to the Apostles." After Jesus' Resurrection and Ascension, Mary Magdalene continued her mission as an evangelizer, contemplative, and mystic in the heart of the Church. 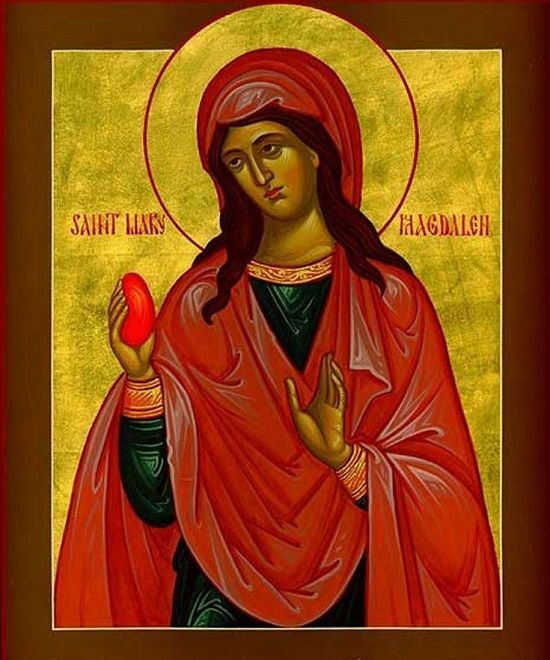 According to tradition, after Jesus' Ascension into heaven, the Magdalene---a wealthy woman of some importance---boldly presented herself to the Emperor Tiberius Caesar in Rome to proclaim the resurrection of Jesus Christ, with an egg in hand to illustrate her message. Holding the egg out to him, she exclaimed for the first time what is now the universal Easter proclamation among Christians, "Christ is risen!" The emperor, mocking her, said that Jesus had no more risen than the egg in her hand was red. Immediately, the egg turned red as a sign from God to illustrate the truth of her message. The Emperor then heeded her complaints about Pilate condemning an innocent man to death, and had Pilate removed from Jerusalem under imperial displeasure. 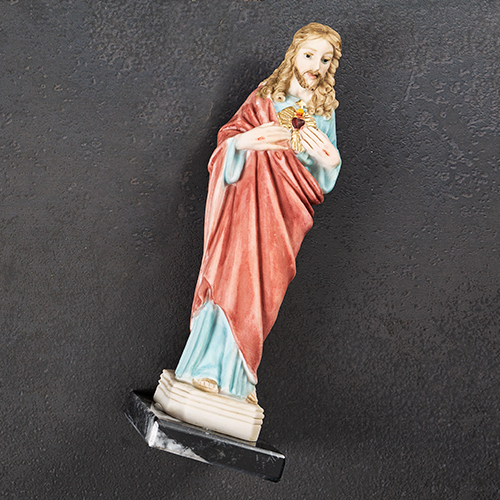 Why would Mary Magdalene bring an egg to talk about Jesus with the Roman Emperor? In another tradition, it is said that Mary Magdalene brought a basket of white boiled eggs with her on Easter morning to the tomb of Jesus---perhaps as a meal for herself and the others as they waited for someone to roll the stone away. When she arrived at the site of the Resurrection, finding the stone already rolled away, she also found that the eggs in her basket had turned into bright shades of color. Perhaps this is why she brought an egg to the Emperor; did she expect that Jesus would perform a similar miracle for her egg as he had done on that first Easter morning? While we do not know if these stories are true with absolute certainty, we do know that the tradition of handing out red eggs at Easter is one that originated among Christians in Apostolic times. And we often find Mary Magdalene depicted in icons holding a red egg. Moreover, the story fits into the various cultural traditions already surrounding the symbol of the egg. For many cultures, even before the time of Christianity, the egg was a symbol of creation, spring, and rebirth. After the resurrection of Christ, the egg took on a new meaning for Christians and became a symbol of new life breaking forth while leaving the empty tomb behind. Perhaps this became even more pronounced due the account of Mary Magdalene. Eggs were what helped people to understand a new theological truth---the resurrection of the dead, and a new religion---Christianity---built around the first Resurrection. As a symbol of Christ's resurrection, the Easter egg then became a symbol for the rebirth of all mankind at the resurrection on the Last Day due to the merits of Jesus Christ. "Easter eggs" were shared with one another as a joyful symbol of Christian hope. 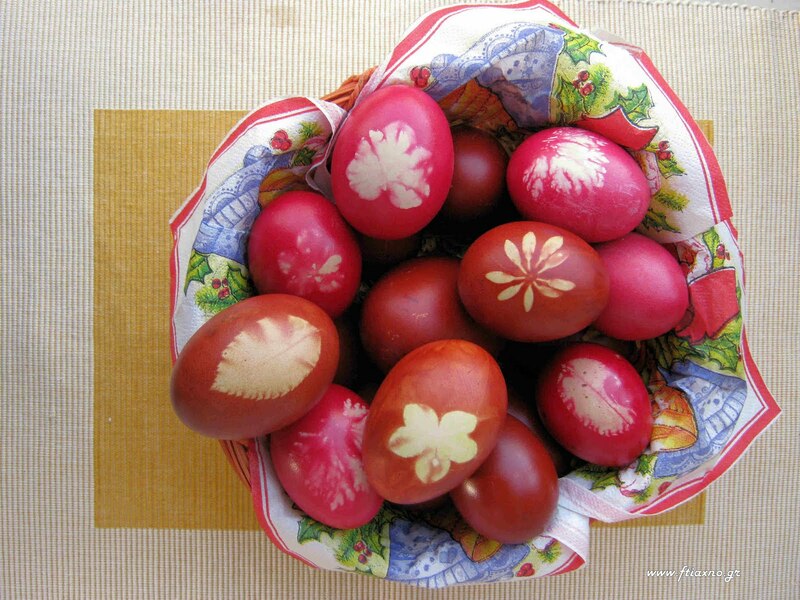 Painting boiled Easter eggs is a beloved ancient tradition for Eastern Catholic churches as well as Orthodox. The eggs are often dyed red to represent the blood of Jesus Christ that was shed on the cross. The Easter eggs are then carried to the church in baskets to be blessed by the priest (often with other foods to be eaten for the Easter feast) at the end of the Easter vigil before being distributed to the faithful. Historically, Christians would abstain from eating eggs during a strict Lent, so Easter was the first chance to eat eggs again after a long period of abstinence. The egg represented the sealed Tomb of Christ, and cracking the shell represented Jesus’ resurrection from the dead. In some cultures it is also common to paint wooden Easter eggs and hand them out as gifts to friends and family. You can read more interesting traditions about Christianity and the Easter egg here and here. 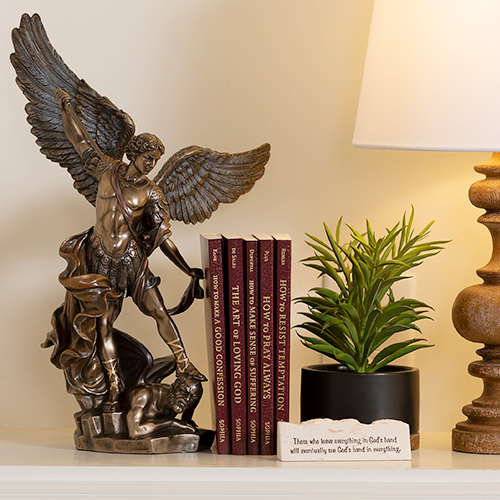 Thus the connection of eggs with Easter and the Resurrection is a historic one in the heart of the Church, and as is always the case with ancient Christian customs, an excellent way to catechize the faithful and celebrate a shared Christian culture with family and friends. If you have family traditions with the Easter egg, please share in the comments below! This article has been updated and was originally published in April 2015. © The Catholic Company. All rights reserved. Interesting, but you only vaguely refer to "tradition." Can you point to the specific documents where someone wrote of this tradition so I can read them? I'm sure they exist, but I'm curious where they are. I always heard that it was the Jews that labelled St Mary Magdalene a prostitute in order to denigrate Jesus and His followers. I was always told that eggs were traditionally red because the egg is shaped like a tear drop and Jesus wept in the Garden and his tears turned to drops of blood. I love all of these traditions and stories. I had heard that the emperor's wife was struggling to get pregnant at that time, and the Magdalene promised they would bear a child, which she did. Thanks for your Easter comments. Never knew that about the Red Egg. It says you converted to Catholicism but I’d like to know what you converted from, and what attracted you to the Catholic faith? Hi Ray, I converted from Protestantism (bible-believing non-denominational) and I was attracted to the Catholic faith through studying theology. God bless! where does the name "easter" come from? from a certain language? and what does it mean? Gretchen, you have beautifully answered all these comments with love & charity towards those who would seek to distract & destroy the traditions of the early Church...” the gates of hell will not prevail against it”. In our family, which was of Ukrainian heritage, my father would divide a blessed hard boiled egg, pysanky, into the number of pieces of the family for us to share as we began our Easter feast. It was a sign of love and unity. pagan sun worship thats what it is. all this easter egg has nothing to do with Jesus' ressurection. all the bunnies, eggs is part of pagan false worship. if its not biblical then why practice and follow it. Hi Lloyd, the Easter bunny is indeed not part of the Easter story. However this is not true of Easter eggs. 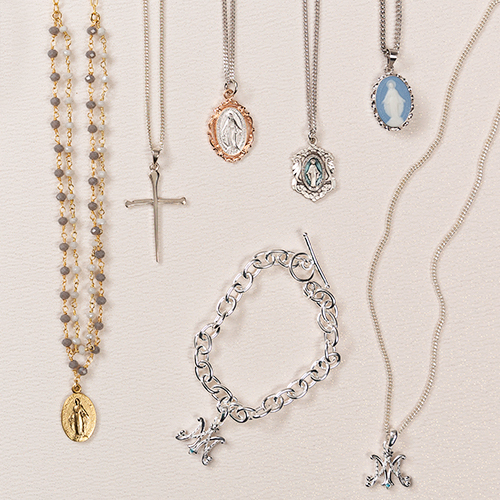 The tradition is rooted not only in the story of Mary Magdalene, but also in local custom. Historically, Christians fasted from eggs (and all animal products) during Lent. 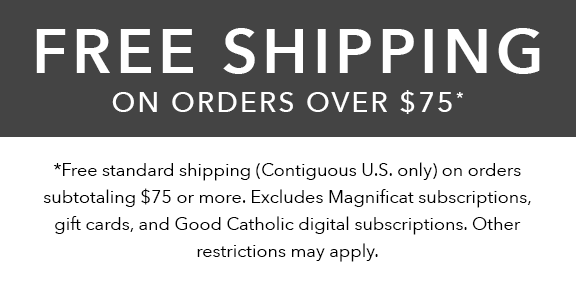 This fast is still the rule in the Eastern Catholic Churches. 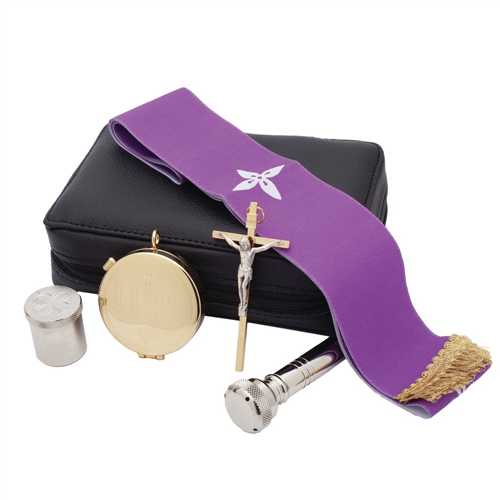 When Easter approached, Christians would place their eggs, and other delectable foods that were abstained from during Lent, into a basket to take to the church for the priest to bless the foods they would eat during the Easter feast. This custom is still practiced today in the Eastern churches, and this is the origin of the Easter egg basket. There is nothing pagan about it, rather it is simply asking God's blessing on your food. My grandmother dyed her eggs with onion skins which makes a lovely natural looking red. You do have to boil them for a while! Where can I find this in the bible. I'm a caregiver, I'm unable to Use my clients internet but I do read the bible to some of them. It is very interesting. Hi Amy, this story of Mary Magdalene and the Easter Egg is not contained in the Bible. It is part of early Christian historical tradition. In the Eastern Orthodox Church, we receive a red egg after kissing the cross at the end of our Easter (Pascha) service. 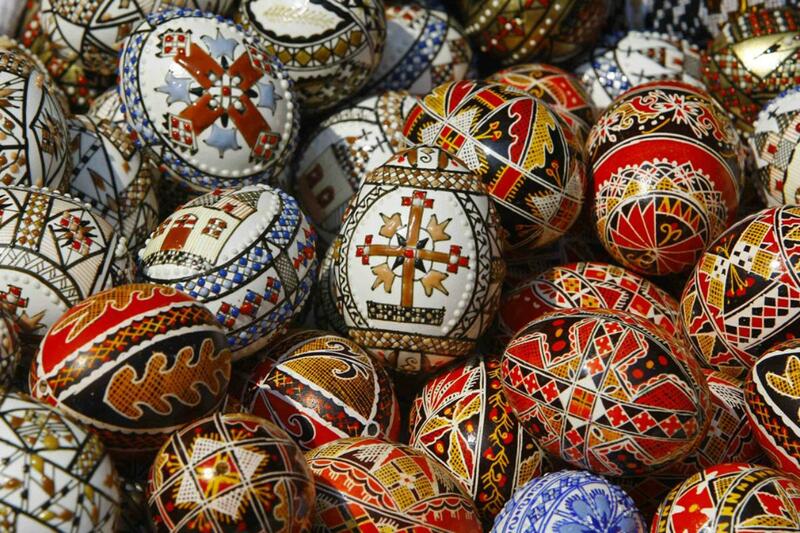 Pysanky, the highly decorated eggs, are also exchanged...they are typically hand blown before decorating or raw since they are kept for years. I display mine year round, they are so beautiful. I also felt theat the story of Mary Magdalene was a great way to find out about the Easter Egg. I'm glad that is about the church. Mary Magdelalene was a prostitute. , but she did her time as a sinner, and Jesus forgave her, that's what's important here. If Jesus loved her , there will be no wrong again !!!! Glory be to God ! Who knew? Not me that's for sure. Wonderful story. I always wonder what eggs haf to do with Easter. Thank you for sharing. 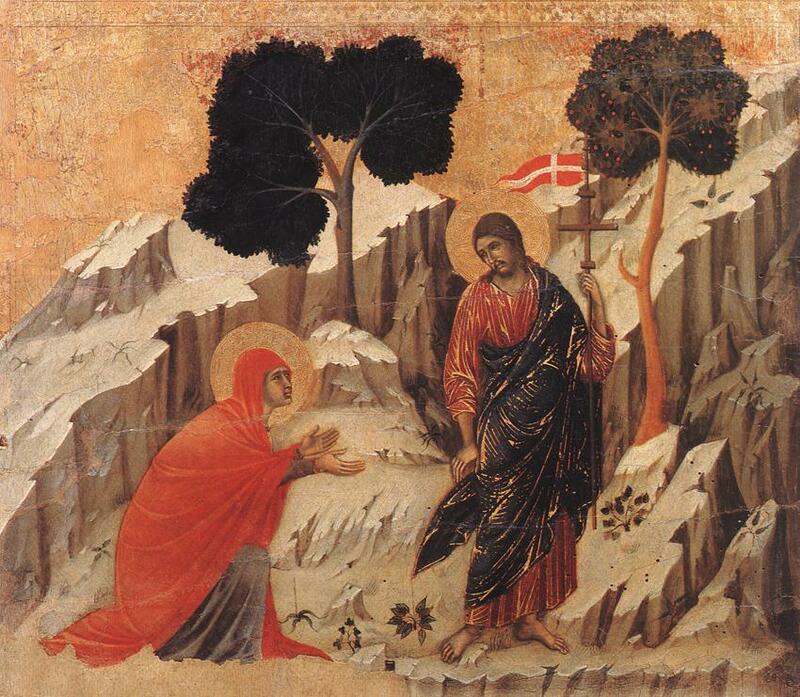 All very good story about Mary Magdalene and the origin of the Easter Egg. Hi Gretchen! 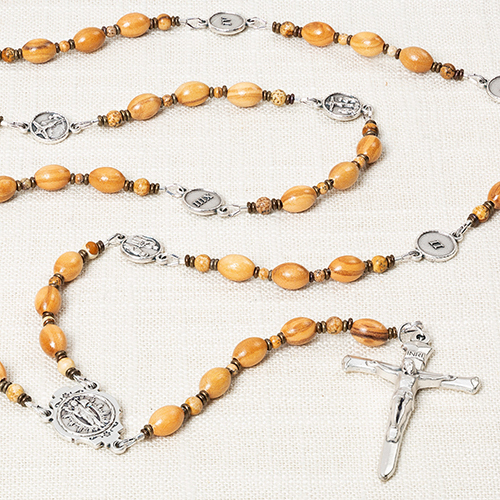 I am in the process of converting to Catholicism from a protestant background. I am SO THRILLED with all I am learning and loving! I am very concerned about my 6 grown children and 9 grandchildren understanding our faith and celebrations for the religious reasons they are celebrated, and not just for the funsy stuff. This story TRULY helps me to understand the connection to the Easter egg, enjoying it more with the kids! Thank you so much!!! I, like others have said, still wonder about the bunny. I promote the LAMB, not reindeer or bunnies, unless I find a good reason, like your lesson about the egg, to make it meaningful. ? 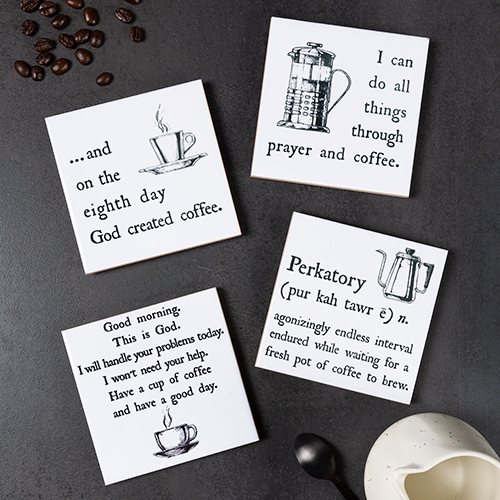 Great Coleen, I'm so glad to hear that this article will help you catechize your family on these Christian traditions! And welcome home to the Catholic Church! I regret my previous comment about Salome as I was half correct & half incorrect. In your 3/28/16 10 am post to Judy you say Scripture states that Salome was the mother of St. John. My Scripture tells me that Salome was the daughter of Herod who requested the head of (St.) John the Baptist on a platter. His mother was Elizabeth, Mary's cousin. If you are speaking of the apostle John to whom Jesus hanging on the cross said, "John, behold your mother; Mother, behold your son." - Salome was not his mother nor was she at the foot of the cross. Greetings from a fellow Lay Dominican. Fun article! I hadn't heard that legend or where colored eggs originated. Here's the Jewish meaning of the egg on the Seder plate at Passover, according to Chabad.org: "A hard-boiled egg represents the pre-holiday offering (chagigah) that was brought in the days of the Holy Temple. The meat of this animal constituted the main part of the Passover meal. The Aramaic word for “egg” is bei’ah, which is similar to the Aramaic word for “desire,” expressing that this was the night when G-d desired to redeem us." 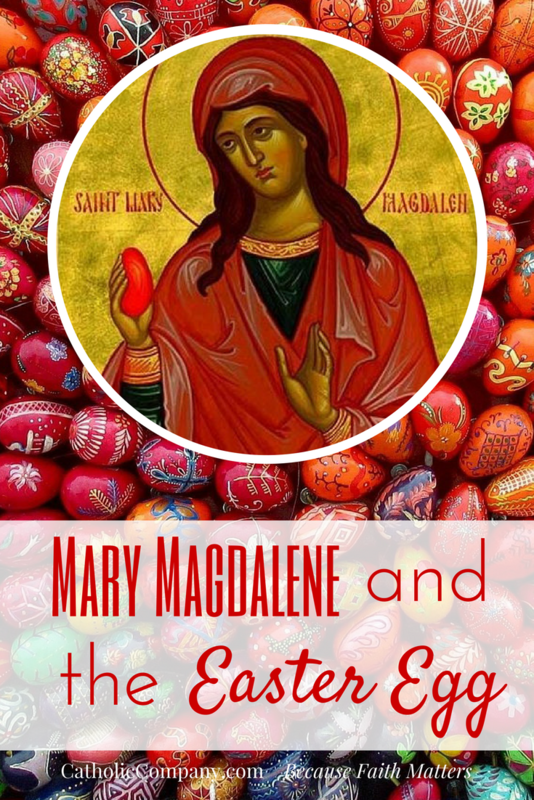 Beautiful stories surrounding St. Mary Magdalene and Easter eggs. I never heard them or anything about her after Jesus' Resurrection. I like the suggestion of giving painted wooden ones as gifts. 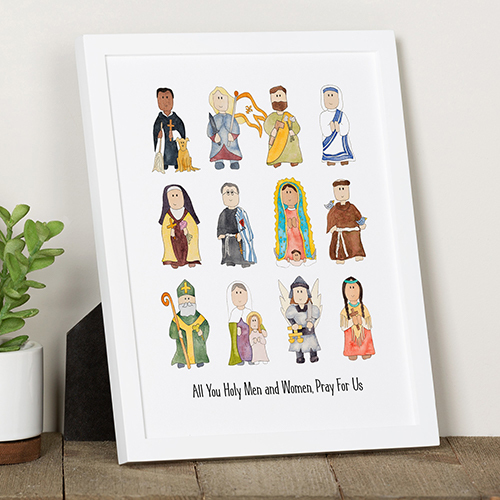 A good craft to keep children busy during holy week and share the Faith too. Thank You!